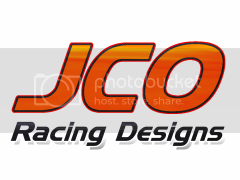 Welcome to JCO Racing Designs! If this is your first time here, or you just need to learn what all this is about, this is the page to see! First off, this website contains downloads for the computer game NASCAR Racing 2003 Season by Papyrus Racing. Some downloads are in many different file formats. Different formats for different painters! Most NR2003 websites make complete cars for those to just download and race. We are no exception, having most of our downloads be these cars. We group the cars according to mod, and then by real or fictional, and so on. CAR File - This file goes into the "cars" folder of the respective mod it is for, and it is automatically put into the game. (Photoshop*) - This is the most common type of file format for NR2003 painters, since it is universal among many image editors. (Paint Shop Pro) - This is also a common file type of painters, but it isn't as compatible with image editors. (GIMP) - This file format is made exclusively for the GIMP GNU Image Manipulator. This is compatible only with GIMP and with some other image editors. (MS Paint) - This format is for the daring (or unequipped) that paint cars using Microsoft Paint. This format works on almost any image editor. allows the logo to be as large as needed, but is only a flat image. This format works with some editors. (Scalable Vector Graphic) - This format is identical to EPS's, but they are more common. This may replace .eps as we dabble around in the world of vector graphics. (ZIP Archive) - This format provides a compressed version of all 6 file formats (5 for older files).